Dressings: House Vinaigrette, Ranch, Bleu Cheese, Russian, Balsamic, Light Italian, Honey Mustard, & Creamy Caesar. 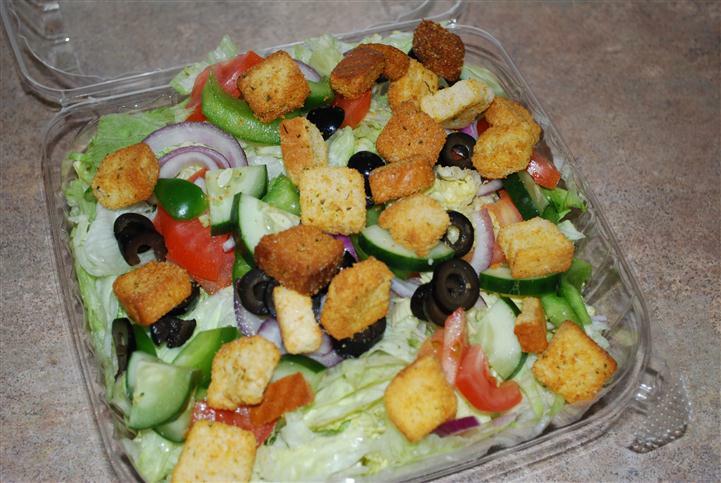 Lettuce, tomatoes, onions, green peppers, cucumbers, croutons, and black olives. 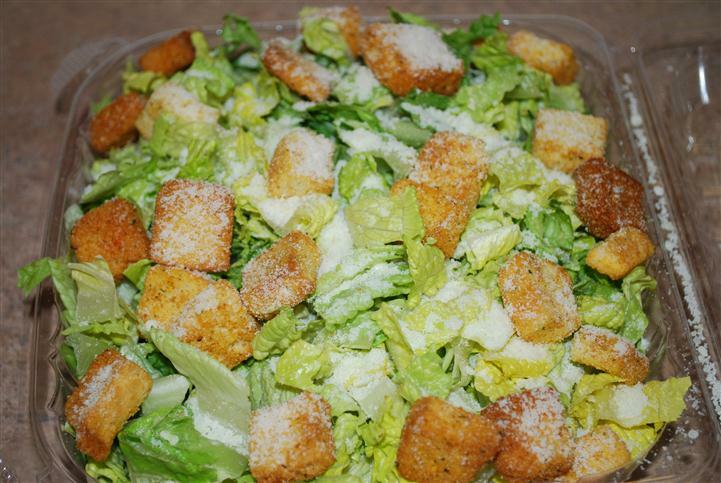 Romaine lettuce, grated parmesan cheese, croutons, and creamy Caesar dressing.